In her debut novel, Saints and Misfits, S.K. 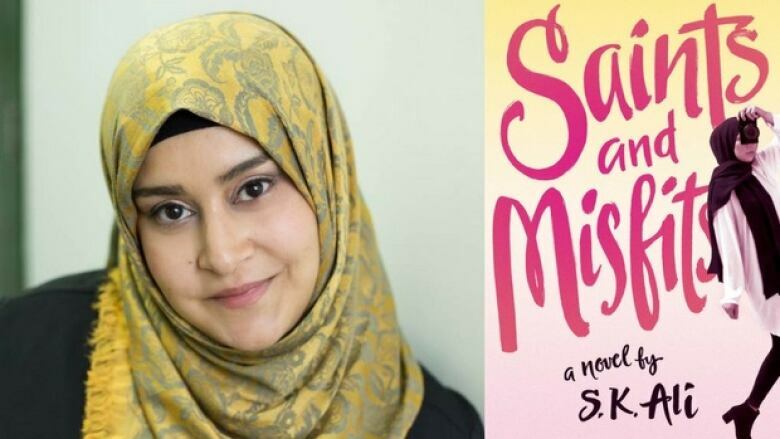 Ali uses YA fiction to explore what it means to grow up a Muslim teenage girl in North America. In her own words, Ali explains how she wrote Saints and Misfits. "I love reading YA because the characters are figuring out who they are. That speaks strongly to me as a person of faith. You have to grapple with your different identities. YA explores more territory, I find it has more diversity and more intersectionality. I think that made it easier for me to write about a girl who is Muslim and American." "I felt like there was so much to cover because there is such a gap in Muslim-centric stories in North America. It was almost like writing fantasy because I was writing about a world that you don't often encounter in fiction. I knew I had to keep giving context clues and building this new world. That was the challenging part. I didn't want to create something didactic or explanatory, but it was necessary because you don't get to know Muslim spaces." "This book came out of a first manuscript that I wrote. No matter how I tried to revise it, it wasn't going anywhere. But there was one character in the book that readers liked and wanted to know more about. So I started to blog in her voice. That was Janna. I tried to figure out her background and her story. When I started to get a handle on her character and the world around her, I stopped blogging. I took all the threads that came out of that blog and I started to weave them into a story. I used J.K. Rowling's system where she lays the threads out and then lays out the chapters. She balances the threads so that they aren't dropped in any way. That's what I did in this story." "My Grade 7 teacher said, "You're a marvellous writer." I remember thinking, "I am?" I loved writing stories but I never saw myself as a writer. After she told me that, I remember thinking this is something I now know about myself — I can tell stories. A big part of my confidence came from my ability to write. "I actually reconnected with this teacher after she read about me in the newspaper. She is coming to the book launch. It's been 30 years." S.K. Ali's comments have been edited and condensed.